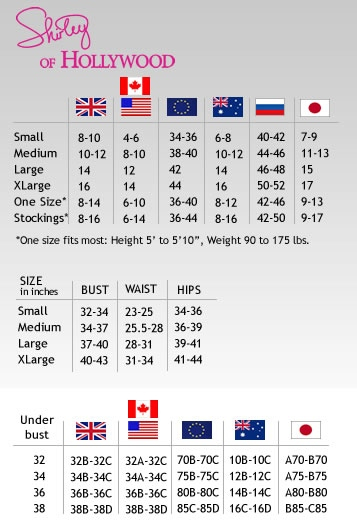 Sizing is important when you buy any item of clothing. 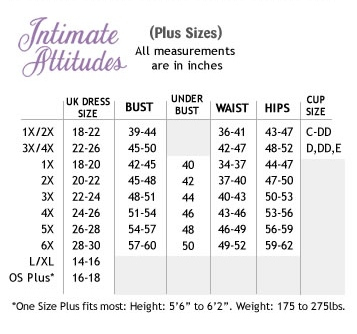 Below are the size charts for the companies we use for our high quality lingerie. Each and everyone of us is different. No one is the perfect size. These charts are for guidence only. We have done our very best to include the finer details in our product descriptions with some materials stretch to give that little extra room. We are sure that you will find the right garment for you.